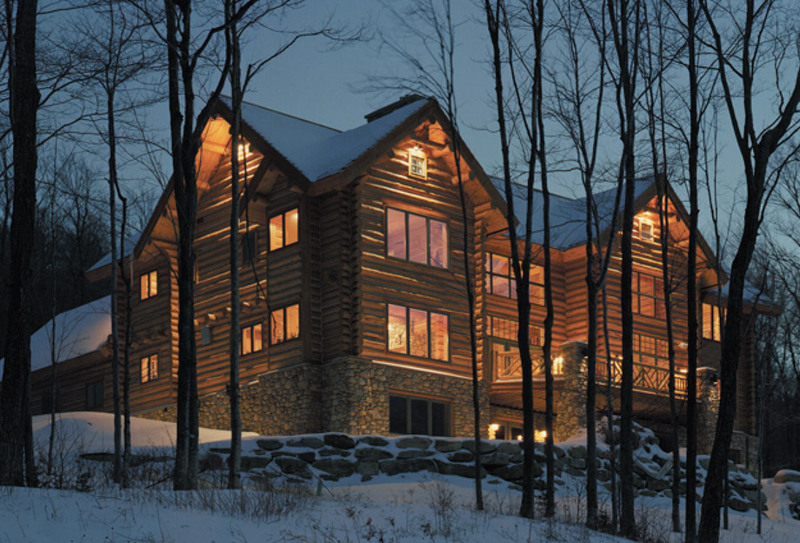 This hand-crafted Alpine Log Home Kit was erected in Montana and then deconstructed and trucked to Vermont. Alpine Homes sends one representative from the company to instruct the contractor on how to erect the house. The first delivery arrived in one of the largest snowstorms ever recorded in March. The exterior walls remained exposed on the inside, therefore the interior walls needed to be crafted to match the exterior walls. 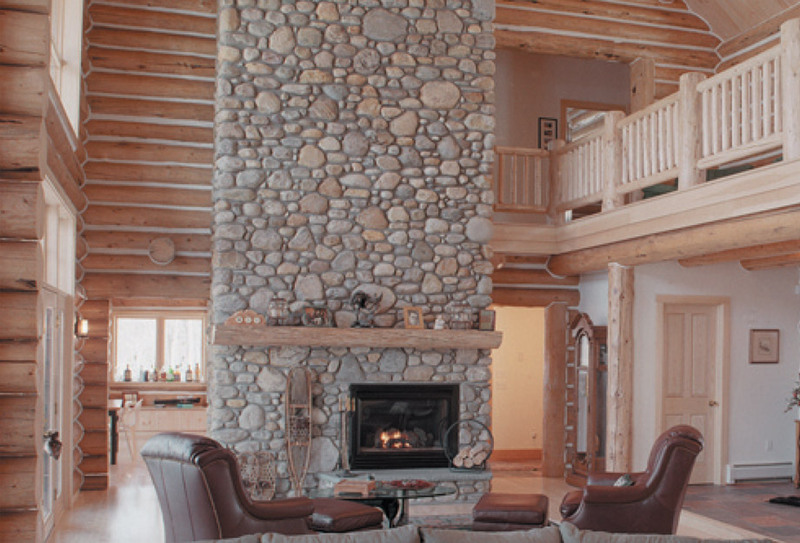 Fieldstone veneer surrounds the entire foundation at the basement level and a massive central fieldstone fireplace graces the cathedral great room. 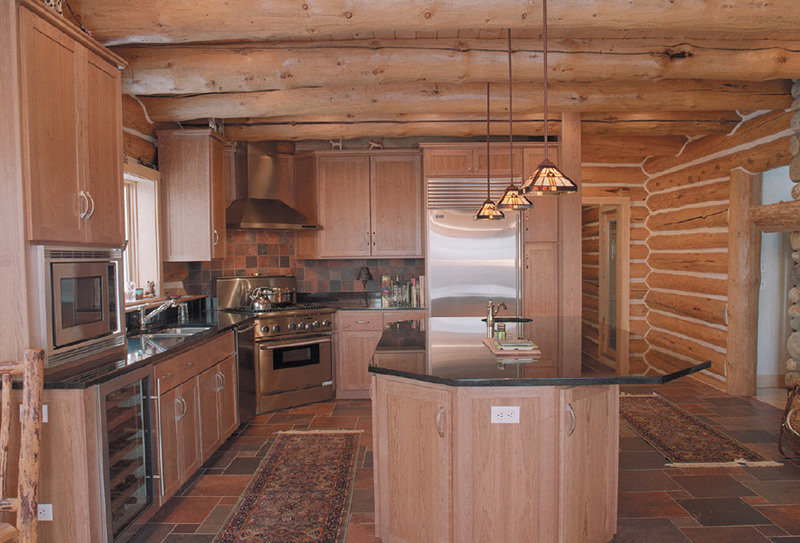 Our Hawk Hill Cabinetry & Custom Woodwork provided much of the interior cabinetry and finishes.